Plumbing Doc is owned by Rick Clemmons. He started “The Plumbing Doc” in 2004 with two trucks and basic tools and through hard work and customer satisfaction it has grown to become the company it is today. Plumbing Doc is owned by Rick Clemmons. Rick was born in Arlington California in 1959 and moved to Bakersfield in 1964. He was raised right here in Kern County and through the years has developed many strong friendships and ties in our community. He graduated high school in 1976 and enlisted in the United States Air Force. After being honorably discharged he joined the Kern County Fire Department where he performed duties out of Keene, California as a seasonal fireman (hot shot crew member). At the end of the fire season after leaving the fire department he attended college both in Texas and then back here at Bakersfield College studying everything from Mathematics to Diesel Mechanics and Welding. He enrolled in the apprenticeship program for the Operating Engineers Local #12 with a dual apprenticeship both as a Heavy equipment operator and as a Diesel Mechanic/Welder. He graduated from this dual program with a Dorothy Donahue award as the top graduating apprentice in the AFL/CIO in California and Nevada. After working all aspects of heavy and underground construction including the HDD field for many years he started his own construction company specializing in major underground and commercial construction. Eventually he broke into residential and commercial plumbing and found that he had a natural “knack” for it. He started “The Plumbing Doc” in 2004 with two trucks and basic tools and through hard work and customer satisfaction it has grown to become the company it is today. Those early days were tough but Rick hung on based on positive word of mouth. The company showed up on time, did good work and was honest and sincere! And the rest, as they say, is history. He currently holds California Contractors license number 840190 which includes the following classifications: A- General Engineering Contractor (all phases of commercial construction of structures like bridges, towers, and buildings and major underground like sewers, water mains and storm drainage), B- General Contractor (all phases of residential construction and light commercial construction), C51-Structural Steel Fabrication and Erection, C36- Plumbing Sub specialties, includes all types and phases of residential and commercial plumbing. Rick also has taken and passed the International Code Council/International Conference of Building Officials Building Inspectors test and holds a Building Inspectors Card, he has also taken and passed numerous other tests and accreditation courses including a California Real Estate Inspection Association (CREIA) home inspection course. Always an innovator Rick decided from the beginning that his company was going to be at the forefront of his field, and to this effect he has stayed ahead of his competitors in the institution of new methods and developments applicable to his trade. All of this technology has helped him to deliver to his customers alternate ways to achieve the results they need normally at a greatly reduced final cost. Almost 20&percnt; of his business is referred by other plumbers with whom he has built a reputation as the “plumber the other plumbers call”. His expertise and skills in a wide range of fields are well known and documented. Some of these technical skills/services are Leak and Line locating with an assortment of technologies from transmitters and locators to high powered listening devices and Thermal Imaging, Odor detection and location through the use of smoke testing, Sewer inspection and location through the use of video cameras, both push type and crawler type in sizes up to 5′ diameter and out to 600′ in length at one time. Trenchless pipe installation both by bursting and by a combination of piercing and bursting. Pipe freezing of lines up to 12″ in diameter to make a temporary ice “shut off valve” in order to perform service work, and many more. They say that “great minds think alike”, and that “birds of a feather flock together” and to help prove these sayings true you have to look no further than the crew that Rick has assembled at The Plumbing Doc over the years. All of his workers are highly skilled in their jobs and have went through years of rigorous job training under Ricks watchful eye. His current Plumbing Foreman has worked for Rick over 8 years, holds his own California State Contractors license under plumbing and has learned almost everything from Rick. His Construction Foreman has been in the trades for over 25 years and is an expert at stick framing, concrete work, and drywall work. All of his plumbing technicians (one of which is his son Ricky Jr.) are knowledgeable highly skilled and trustworthy individuals. The Plumbing Doc is a major contributor to numerous local groups from the Kern County Fair, to the Bakersfield Rescue Mission. Rick has a policy of giving back to the community, both via direct contributions and via discounts. We also offer for Senior Citizens and Military Veterans, Police, and Fire employees discounts off of work performed. Here at Plumbing Doc, we offer quality plumbing and drain cleaning service with quality and a name you can trust! Our goal is to have 100&percnt; customer satisfaction, which is why we offer a 10&percnt; discount to Senior Citizens and Military. We look forward to meeting and speaking with each unique customer. Also, we welcome residential and commercial customers. The Plumbing Doc is a leader in the fields of service and repair plumbing both residential and commercial not only because of our years of experience but also because we listen to our customers’ needs. 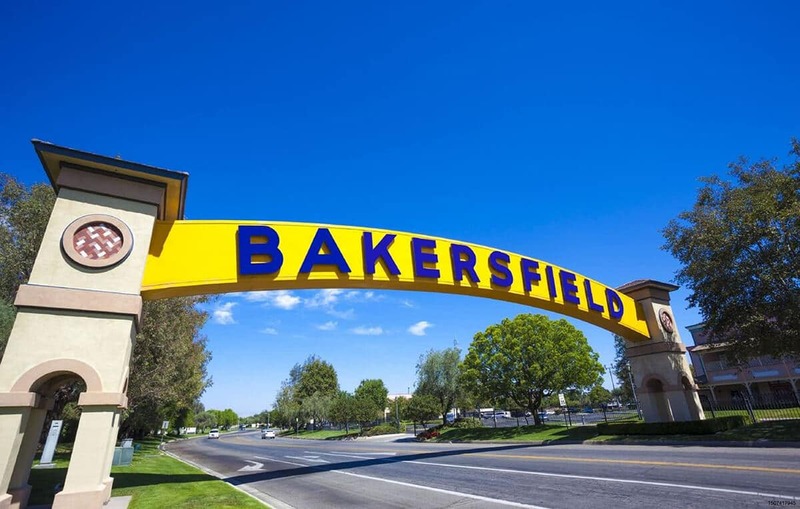 We serve Kern County and the greater metropolitan Bakersfield Area. Our Local Service Center utilizes state-of-the-art computerized dispatch equipment to get our technicians to our customer in the fastest time possible. Our customer service representatives, dispatchers, training specialists and warehouse personnel back our highly-trained technicians. Our fully-stocked trucks include an incredible selection of repair items, tools and emergency equipment so we can provide service 24-hours a day, 7-days a week. We offer the best warranties (up to 99 YEARS) in the industry on both workmanship and materials. But most importantly, we’re the most reliable plumbers you’ve ever met. Give us a call today.